then let nature take care of the freezing (Peter). 1. Grind the three meats in the meat grinder, adding the dry bread, garlic and onions from time to time to ensure even distribution. 2. Add salt and pepper and mix the ingredients. 3. Pour flour into a bowl, add some salt, then the eggs and enough water to mix to a stiff dough. 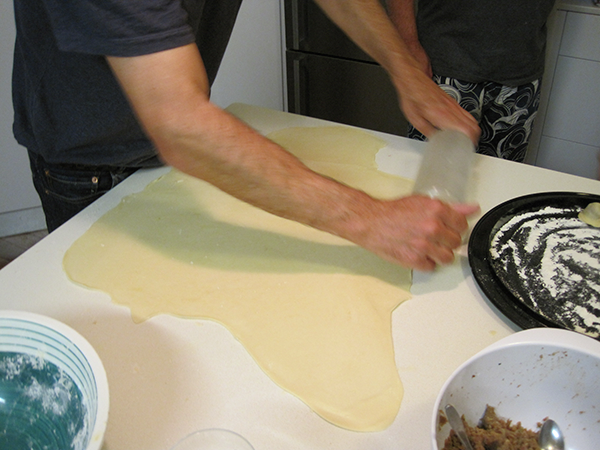 Remove and kneed on a floured surface. 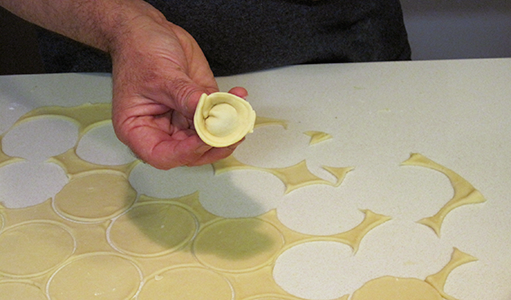 Then roll out and cut circles with wine glass. 5. Make up 30 or 40 then cook in boiling chicken broth. Enjoy with soy sauce, mustard and sweet chili - and family of course. 6. Tell the bastards who didn't help you make them - and who are now gathering around - to bugger off. 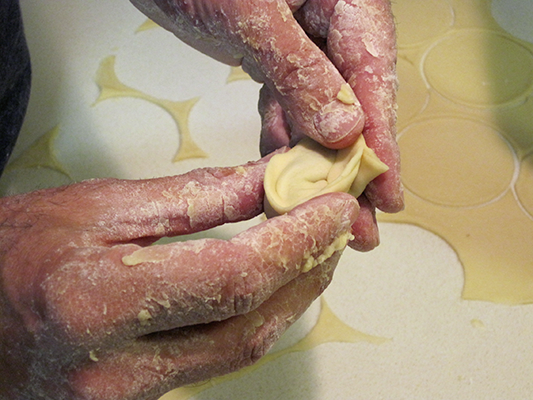 Anyone can be trained to make pelmenis. Once you learn, you never forget. Always more eaters than makers. Henry, shown here at Mart and Ann's house back in 2010, will be custodian of the pelmeni franchise when I die.